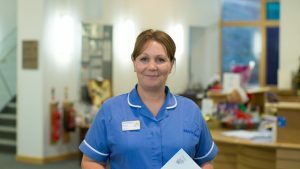 Marie Curie Nurses care for people living with a terminal illness at home or in the Marie Curie hospices, when you need them most, day or night. 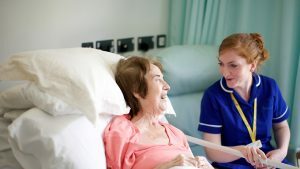 The British charity Marie Curie believes that everyone living with a terminal illness should be able to get the most from the time they have left. The Marie Curie staff, nurses, trained volunteers and advisers are here for you when you don’t know what to do next or just need to talk. Marie Curie will be your side with care and support every step of the way, bringing light in the darkest hours. Last year in the UK, 2,100 Marie Curie Nurses cared for over 50,000 people, allowing them to die in their place of choice surrounded by their loved ones. It's easy to donate your leftover holiday cash; Simply fill out our charity exchange form and send it along with your currency to our London office. We will exchange all currency, coins and notes, foreign and domestic, and donate the exchange value plus 5% extra to Marie Curie. How much of my donation goes to Marie Curie? We donate the complete exchange value plus 5% extra to Marie Curie. There are no fees, neither do we subtract any commission. You will receive a confirmation email, containing the amount donate. We will share this information with Marie Curie. You can donate any coins or notes, foreign or domestic. We will exchange whatever currency you send us and will donate the combined exchange value plus five percent extra to Marie Curie.